Etisalat 100% double data bonus or BreakFree Offer is double packed with both voice and data bonuses. The three classes of bonuses on the Etisalat BreakFree offer appeals both to the internet users and for other people making calls. 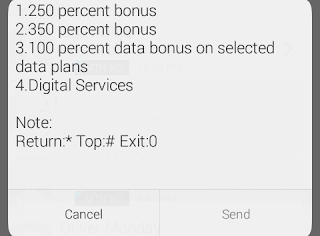 • Data bonus not available when you purchase discounted data bundles like Social Me, etc. 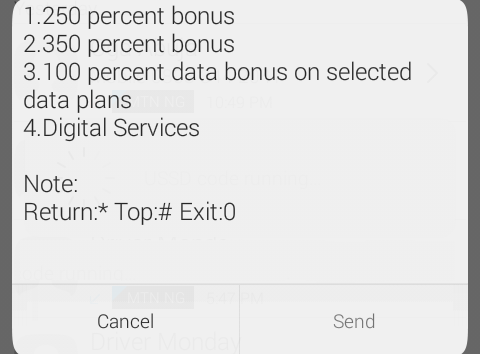 • Bonus data is valid for 7days. Dial *545# and select your preferred bonus package and you will receive a successful message. This Etisalat Breakfree 250%, 100% Data Bonus offer might not favor some due to the odd hours for usage for the internet bundle but it is worth the try.